Writing is writing is writing… write? Sorry, right? 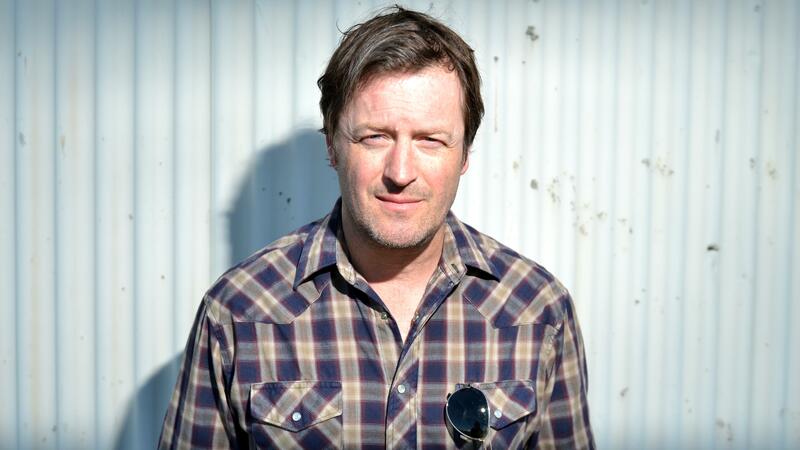 Willy Vlautin writes better than most – certainly most in America, anyway. That’s what Roddy Doyle says. We always loved his musical slices of Americana with bands Richmond Fontaine and The Delines, but now he’s combined the two for a new book and album. By Alan O’Hare. It is lucky, but the happenstance is based on the fact that when inspiration strikes it has to find the artist working and Vlautin never stops. ‘Don’t Skip Out On Me’, out now, is the Richmond Fontaine singer’s fifth novel in just over ten years – and all have been written during the days and months that take Vlautin on the road with his music. “I think certain stories of mine are dipped in the melancholy of a sad ballad,” he reveals. Do you hear music as you’re writing your books? Not when I’m writing, no. I can’t do anything when music plays except listen and drift off! It’s a bad habit… I have a hard time even holding a straight conversation when music’s playing! I guess it’s a certain melancholy in a story that makes me think of a song. Did that happen with ‘Don’t Skip Out On Me’? From the first page… and by page ten I’d already written a couple tunes. After that, I decided on the soundtrack and was lucky that the guys in Richmond Fontaine were up for doing it. You’re happy with it, then? Nice. Thinking of that Doyle quote, what defines ‘an American writer’? … places matter, though. Don’t they? Usually when I write a novel that’s heavy on location it’s just because I want to live in that place. I’m pretty simple that way. I write about my hometown of Reno because I’ve always wanted to move back there. This time ’round I wrote about a Nevada ranch because I’ve always wanted to live on one! A part of the book is set in Tucson just because I like it there. ‘Living Where You’re Not Wanted’ is a song on the soundtrack – what is it about that lonesome feeling that attracts you to desperate characters? I guess more than anything it’s something I’ve struggled with in my own life. Maybe it’s in my blood or how I was raised, but I’ve never been able to shake loneliness. I always thought it would ease up the older I got… but maybe that’s why I always write about the things I write about: they’re all still puzzles that I can’t quite figure out. My pedal steel player, David Murphy, is with me. Even as a kid, I loved the steel… not so much the twang, but the dreaminess. It just feels like a movie to me – a movie set a million miles away from your own life and the world ain’t such a bad place when it’s playing. It’s another thing I can’t seem to shake. Success seems to stick with you now, too! How happy were you with how your first novel, ‘The Motel Life’, turned out in its big screen adaptation? There were some things I really liked about the movie and it’s lucky as hell to get a film made of your book. They also shot it in my hometown which was great, as they documented some of my favorite places and I’m grateful for that. I had some problems with it… but I know the filmmakers tried the best they could. I got really lucky on that one. I saw Andrew Haigh’s first movie, ‘Weekend’, and thought it was great. And, Jesus, then he gets ‘Lean On Pete’ made and I really can’t say enough great things about him. What’s your favourite film adapted from a book? I know Ken Kesey would roll over in his grave, but ‘One Flew Over the Cuckoo’s Nest’ was pretty damn good. So was the B. Traven book, ‘The Treasure Of The Sierra Madre’, and the Coen brothers adaptation of Cormac McCarthy’s ‘No Country For Old Men’ was amazing… as was Larry McMurtrys ‘The Last Picture Show’, too. We just finished a new The Delines record and I’m so damn excited about it. We might get to be a band again after Amy Boone‘s accident.. it’s been almost two years since she was hit by a car and she’s still struggling, but we’re hoping we’ll be able to do some shows this fall when the record comes out.